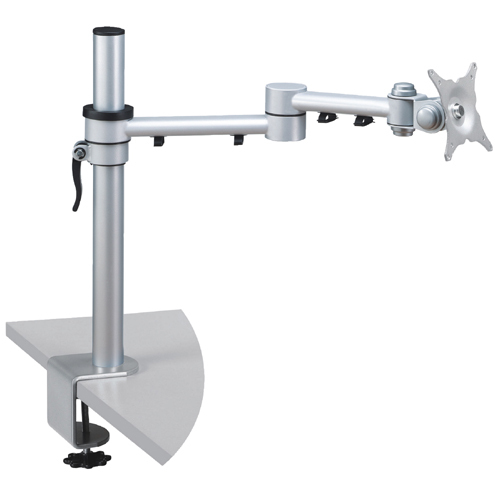 Remaco BKT-580 and BKT-581 Single LCD Bracket with articulating arm, attached desk clamp and cable management suitable for flat screen monitors. 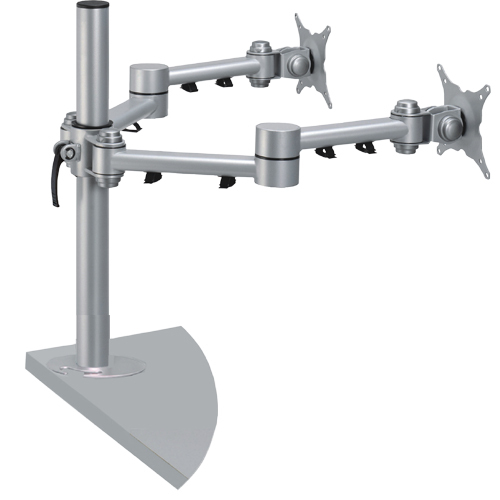 This provides a broad range of motion for viewing Displayings from multiple angles and heights. 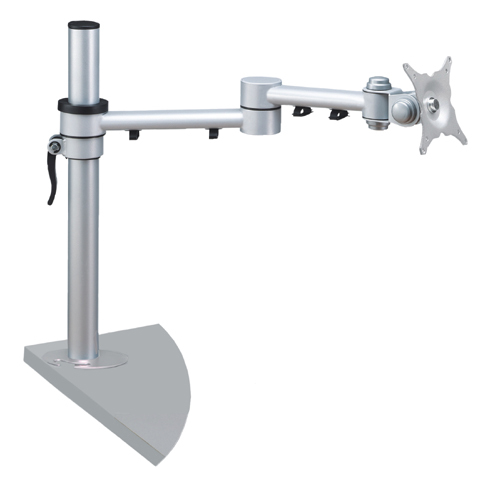 Remaco BKT-585 and BKT-586 Twin LCD Bracket will maximize your desk space and conveniently secure your LCD monitors. 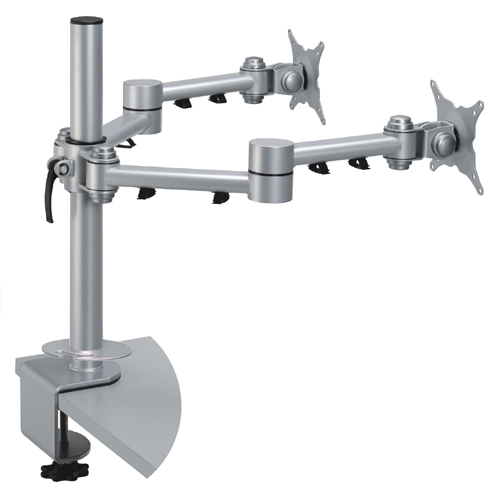 This Twin LCD Bracket can hold up to two LCD monitors with total weight not more than 26kgs.